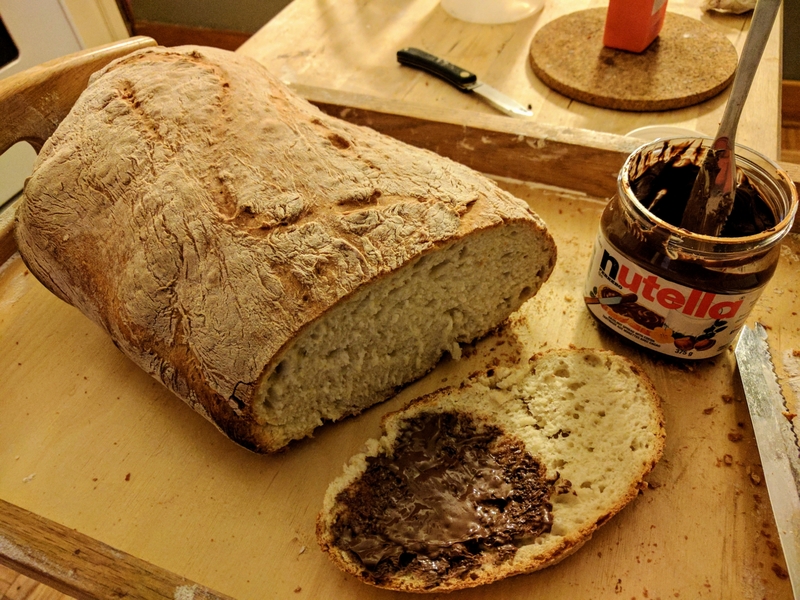 Freshly baked country-style French bread and Nutella: what my childhood was made of. This entry was posted in Uncategorized and tagged baking, bread by Stephane Daury. Bookmark the permalink.